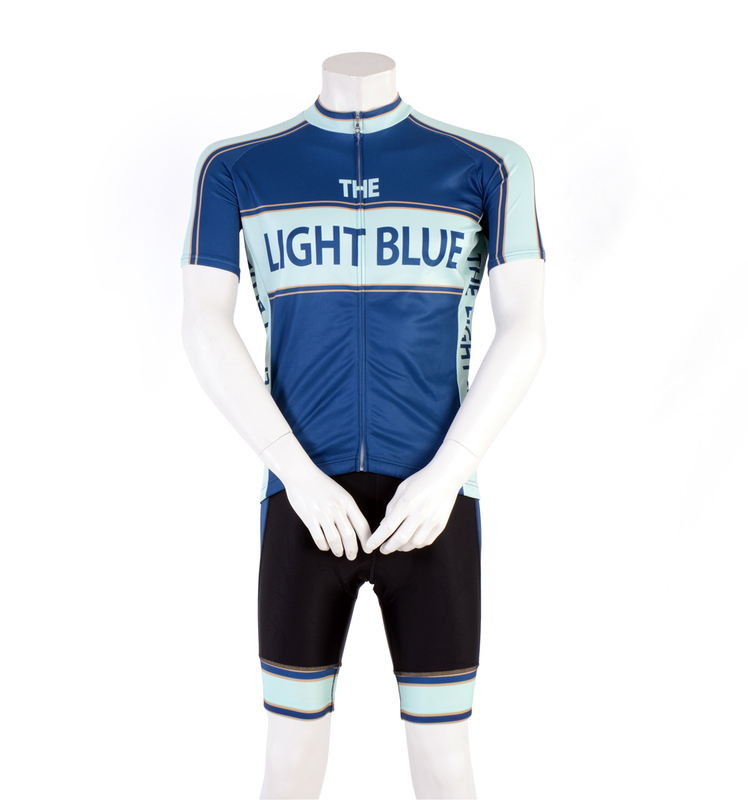 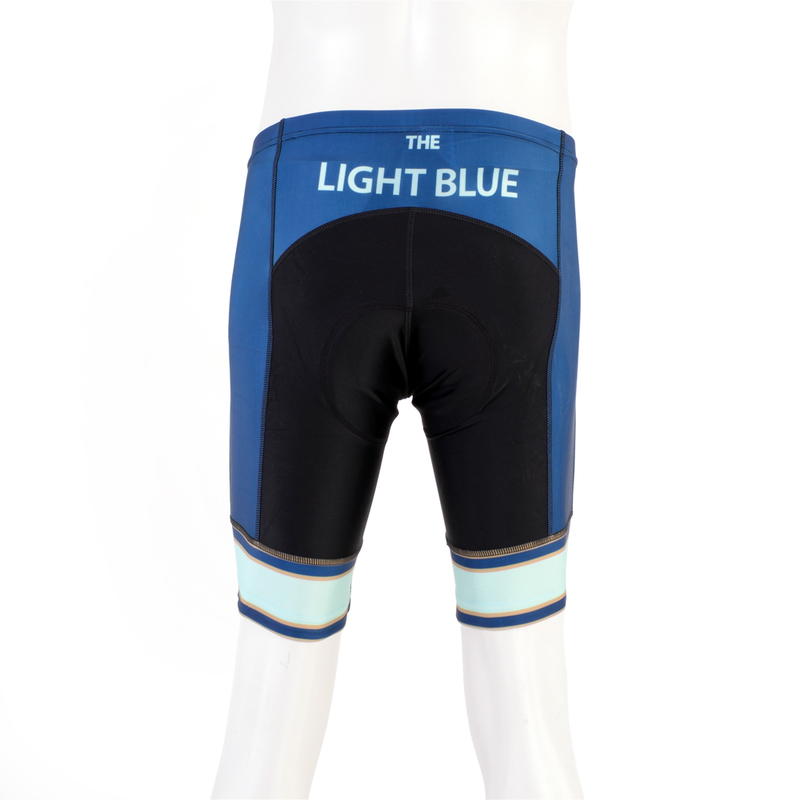 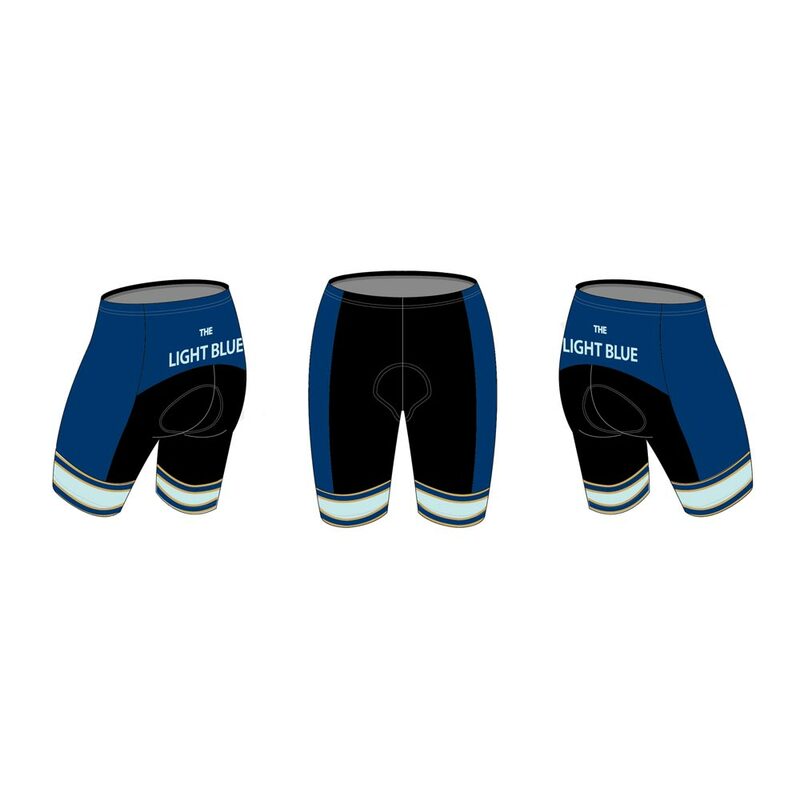 The Light Blue gents waist shorts. 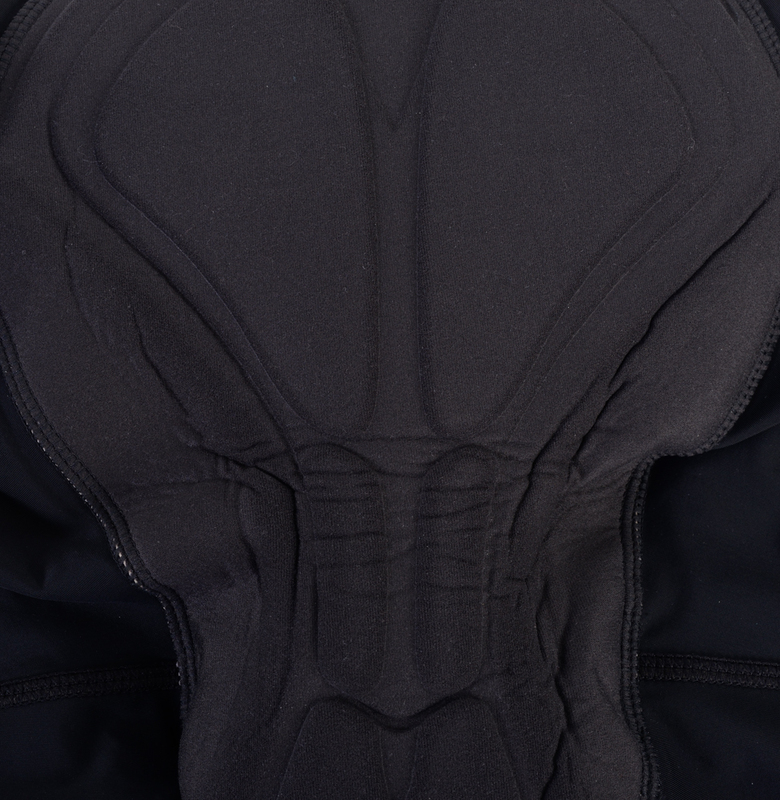 The gender specific ergonomically preshaped & seamless chamois features multi layered dual density (2d) foam padding with a Coolmax surface. 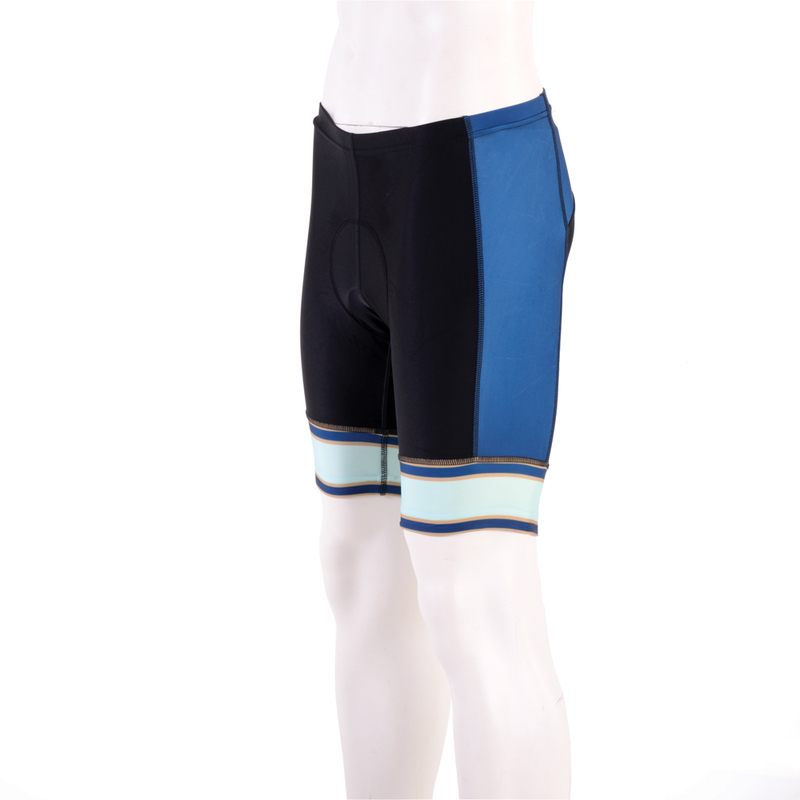 This chamois is perfect for rides up to 3 hours duration. 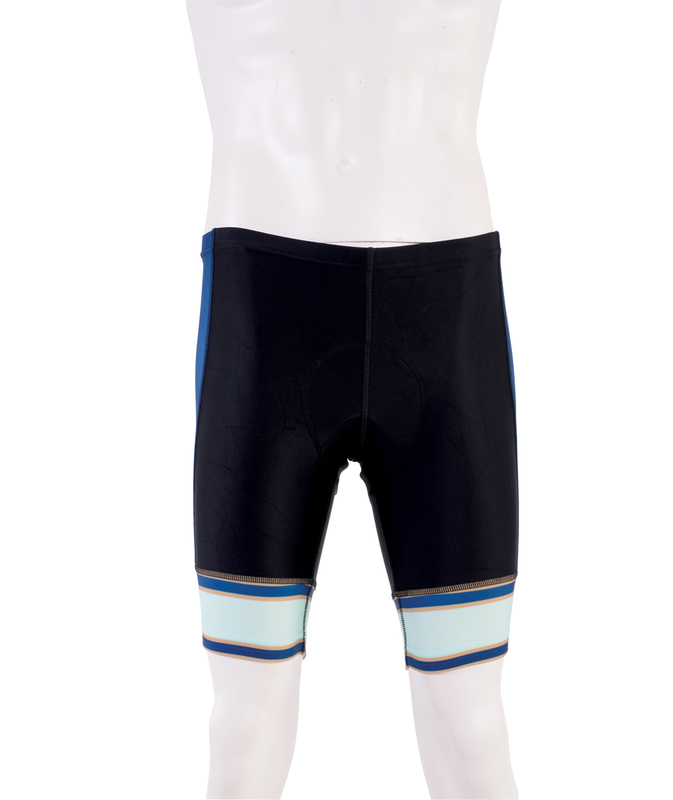 The leg hem is finished with a silicone leg grippers keep the shorts in position.